Input port with micro USB female, can directly use mobile charger for input to the lithium battery, and still retain the input voltage wiring solder joints, can be very convenient. Connect the battery to B + B – , insert mobile phone charger to the USB Female then red light is charging and green is full of charged. 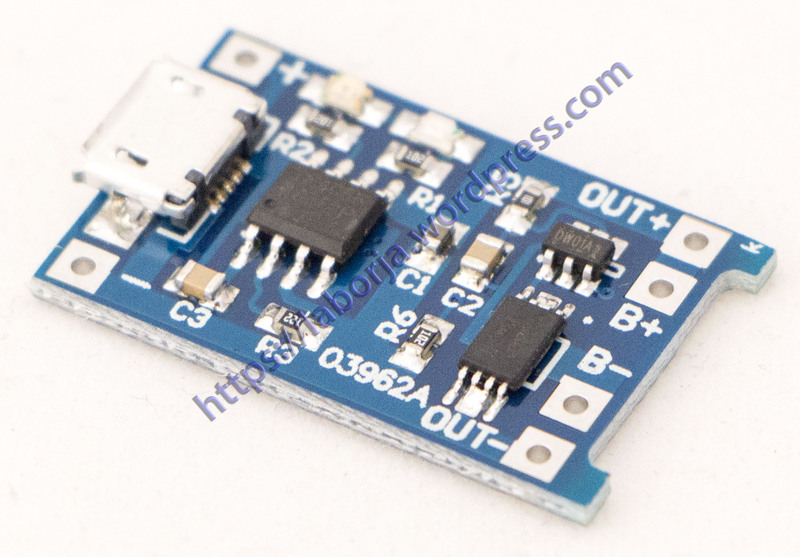 + MICRO USB female and next – pads for the power input, access 5V. B + positive then the lithium battery, B- then negative lithium batteries. OUT + and OUT- connected to the load, such as positive and negative electrodes connected mobile booster plate or other load. Connect the battery to the B + B-, inserted into the USB female mobile phone charger, the red light is being charged, the green light to full. Note: The charge should disconnect the load OUT terminal on the positive and negative can not be wrong, please according to specifications, otherwise it will damage directly.